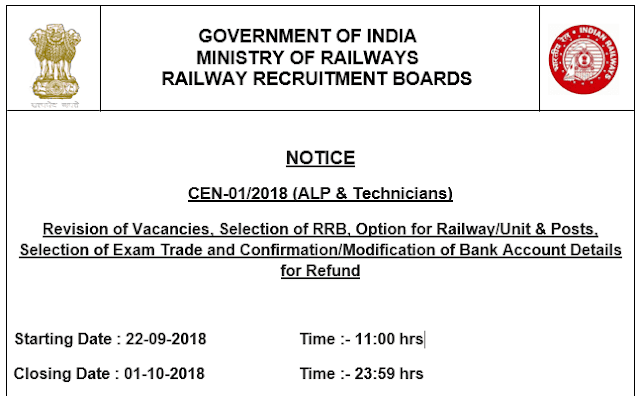 Railway Recruitment Boards(RRBs) has released official notification to notify vacancy at RRBs. As per official notice release, total vacancy notified are 26,502 for the posts of Assistant Loco Pilot (ALP) and Technicians. Further, attention is also drawn to the Notice dated 01 August 2018, published on the official websites of RRBs stating that the vacancies are likely to be increased to about 60,000.